NOW online: Canadian Grand Prix 2015 Lewis Hamilton wins British Grand Prix ahead his teammate Nico Rosberg and Sebastian Vettel. Choose from Thursday, Friday, Saturday, Sunday, Podium, Girls or best-of. Latest Events // Here we go! NOW online: Canadian Grand Prix 2015 Lewis Hamilton wins Canadian Grand Prix ahead his teammate Nico Rosberg and Valtteri Bottas. Spanish Grand Prix 2015 Nico Rosberg wins the Spanish Grand Prix ahead of Lewis Hamilton and Sebastian Vettel. Choose from Thursday, Friday, Saturday, Sunday, Podium, best-of or Girls. F1 Belgium Grand Prix 2014 Daniel Ricciardo wins Belgian Grand Prix, Nico Rosberg finshed second and Valtteri Bottas took third ahead of Ferrari's Kimi Raikkonen. F1 German Grand Prix 2014 Nico Rosberg wins German Grand Prix as Felipe Massa crashes out in Hockenheim. F1 Monaco Grand Prix 2014 72nd Monaco Formula One Grand Prix 2014. Choose from Wednesday, Thursday, Friday, Saturday, Sunday, Celebration or Girls. 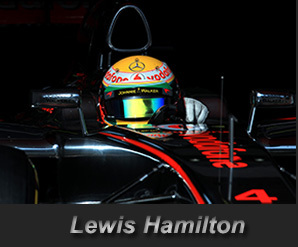 F1 Barcelona Grand Prix Lewis Hamilton wins Spanish Grand Prix to take championship lead from Nico Rosberg. Sebastian Vettel finished 5th. DTM Hockenheim I 2014 Marco Wittmann took his first DTM race win in dominant style at the season opener at Hockenheim. Choose from Saturday, Sunday, Podium, Best-of or Girls. 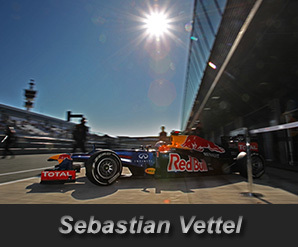 United States Grand Prix 2013 Sebastian Vettel continues F1 dominance with win over Romain Grosjean and Mark Webber in Texas. Choose from Thursday, Friday, Saturday, Sunday, Podium, COTA-Girls or Best-Of. F1 Indian Grand Prix 2013 Sebastian Vettel claimed pole position for Sunday's Indian Grand Prix for the third straight year. Choose from Thursday, Friday, Saturday or Best-Of. DTM Zandvoort Marco Wittmann took his maiden DTM pole position ahead of title contenders Augusto Farfus and Mike Rockenfeller. Choose from Saturday, Sunday, Podium, Girls or Best-Of. F1 Belgian Grand Prix Greenpeace activists protest Shell plans as Sebastian Vettel wins ahead of Fernando Alonso and Lewis Hamilton. F1 German Grand Prix Lewis Hamilton beat Sebastian Vettel to pole position at his Mercedes team's home German Grand Prix. Choose from Thursday, Friday, Saturday, Sunday, Podium, Girls or Best Images. DTM Eurospeedway Lausitz Maiden DTM pole position for Christian Vietoris. Choose from Saturday, Sunday, Podium or Girls. F1 Canadian GP 2013 Sebastian Vettel takes a dominant victory in the Canadian GP as Fernando Alonso beats Lewis Hamilton to second place. Choose from Thursday, Friday, Saturday, Sunday, Podium or Girls. DTM Round 03 Spielberg BMW scores a 1-2-3 with race winner Bruno Spengler, second-placed Marco Wittmann and Timo Glock in third position . Formula1 Monaco Grand Prix Mercedes driver Nico Rosberg heads Ferrari's Fernando Alonso in Thursdays free practice at the Monaco Grand Prix. Choose from Wednesday, Thursday, Friday, Saturday, Sunday, Podium or Girls. NOW online: DTM Round 2 in Brands Hatch Martin Tomczyk has been stripped of his Brands Hatch DTM pole position after his BMW was underweight during qualifying. Choose from Saturday, Sunday, Girls or BestOf. F1 Spanish Grand Prix Nico Rosberg will start on pole for the Barcelona Grand Prix ahead of Lewis Hamilton and Sebastian Vettel at the Circuit de Catalunya. Choose from Thursday, Friday, Saturday, Sunday, Girls, Podium or Best-Of. Choose from Saturday, Sunday, Girls, Podium or Best-Of. F1 Bahrain Grand Prix 2013 Nico Rosberg claims surprise pole for Mercedes. Choose from Thursday, Friday, Saturday, Sunday or Girls. F1 Chinese Grand Prix 2013 Fernando Alonso beat Kimi Raikkonen and Lewis Hamilton at the Chinese Grand Prix. Choose from Thursday, Friday, Saturday, Sunday, Girls or Top Shots. Choose from Thursday, Friday, Saturday or Sunday. F1 United States Grand Prix Sebastian Vettel and Fernando Alonso will battle it out for the Formula One title at the final race in Brazil after Lewis Hamilton won the U.S. Texas Grand Prix in Austin. F1 AbuDhabi Grand Prix Kimi Raikkonen win the Abu Dhabi Grand Prix ahead of Ferrari’s Fernando Alonso and Sebastian Vettel, who keep his lead in the drivers’ standings. F1 Indian GP - NewDelhi Sebastian Vettel dominates the Indian GP to take a fourth win in a row and extend his title lead over Fernando Alonso. 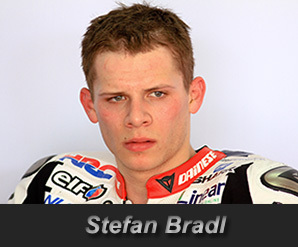 Choose from MotoGP, Moto2, Moto3, Podium or Girls. F1 Singapore Grand Prix Sebastian Vettel wins the Singapore Grand Prix and jump up to second place in the Formula One drivers’ championship. DTM from Oschersleben Bruno Spengler kept up the pressure on Gary Paffett in the race for the DTM title with a excellent victory for BMW at Oschersleben on Sunday. Choose from Friday, Saturday, Sunday, Podium or Girls. Formula one Italian GP 2012 Lewis Hamilton dominated the Italian Grand Prix, using the victory to move from fifth to second place in the Formula One championship standings. Formula one Belgium GP 2012 Michael Schumacher celebrates his 300th grand prix in Belgium. DTM Munich 2012 The DTM drivers staged spectacular racing action in Munich’s Olympiastadion. British GP // Silverstone 2012 McLaren's Lewis Hamilton is fastest in wet conditions at Silverstone during second practice for the British Grand Prix. Canadian Grand Prix 2012 Round 07 of the 2012 Formula 1 World Championship at Circuit de Gilles Villeneuve on the famous Ile de Notre Dame in Montreal. Choose from DTM Saturday, Sunday, Girls or F3ES RACE I+II, RACE III. Monaco Grand Prix Red Bull's Mark Webber has become the sixth different winner in as many grands prix after leading the field home in Monaco. 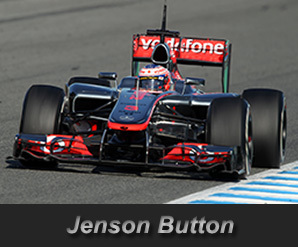 Spanish Formula one Grand Prix Round 5 of the Formula 1 World Championship. The first of the European races take place at the legendary Circuit de Catalunya near Barcelona. DTM Round01 in Hockenheim One-two victory for Mercedes-Benz at Hockenheim. Bahrain Formula one GP World Champion Sebastian Vettel wins his first race of 2012 for Red Bull, ahead of Lotus's and Kimi Raikkonen and Romain Grosjean. Choose from Thursday, Friday, Saturday, Sunday, Girls or Podium. 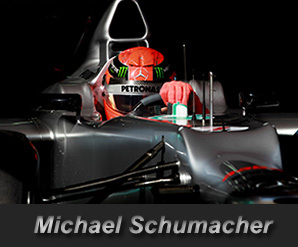 Chinese Formula one GP Mercedes' Nico Rosberg claimed his first Formula one win of his career! Qatar Motorcycle Grand Prix Jorge Lorenzo wins the opening round of the 2012 MotoGP season. Choose from MotoGP, Moto2 or Moto3. MALAYSIAN GP 2012 Ferrari's Fernando Alonso held off Sauber's Sergio Perez to take a sensational victory in a thrilling, rain-hit Malaysian Grand Prix. Choose from Thursday, Friday, Saturday, Race, Podium or Girls. Formula one 2012 Pre-Season Testing Barcelona II Kimi Raikkonen’s Lotus heads Ferrari’s Fernando Alonso as the Formula 1 teams completes pre-season testing. Choose from Friday, Saturday or Sunday. Formula one 2012 Pre-Season Testing Barcelona Sauber's Kamui Kobayashi set the pace on the final day of the second pre-season test in Spain. Choose from Tuesday, Wednesday, Thursday or Friday.